Along with the wise spirit Koroo, Lion-Man protects the African nation of Challia and it's vast resources. Legends of Light City is a new line of pdfs for Swords & Wizardry Light. Each volume will introduce new heroes to flesh out the Light City Multiverse and/or serve as pre-made pc's. 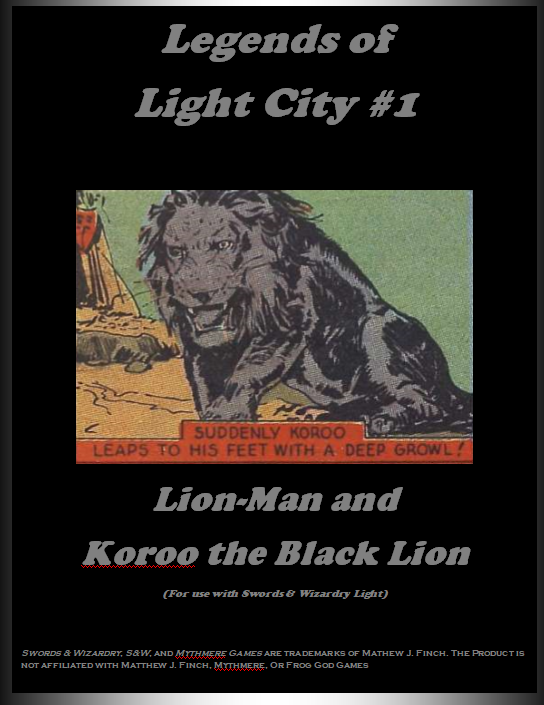 To use this pdf you should also download Light City #1 - The Brawler and Light City: One Shot - The Super-Pet, both of which are available for free.